New city, new arena, new everything! This is a huge development for the legendary franchise! Since the moment the New York Islanders arrived in Brooklyn, NY it’s been an awkward fit. The legendary NHL franchise bid farewell to their former home at the Nassau Veterans Memorial Coliseum in Uniondale, New York in 2014 and have called Brooklyn’s Barclays Center home ever since. But, the unique construction of the building, designed for the NBA’s Brooklyn Nets, combined with neither the appetite from the Islanders or from the owners of Barclays to commit to a long-term lease, means that the team could be on the move sooner rather than later. While the Islanders haven’t been at the forefront of relocations rumors, the team’s ownership has been working diligently behind the scenes to secure a new arena in Long Island, NY. Last night, they unveiled their plans to create a brand new 18,000-seat arena, a hotel, a retail village and an entertainment plaza in Long Island’s Belmont Park area. 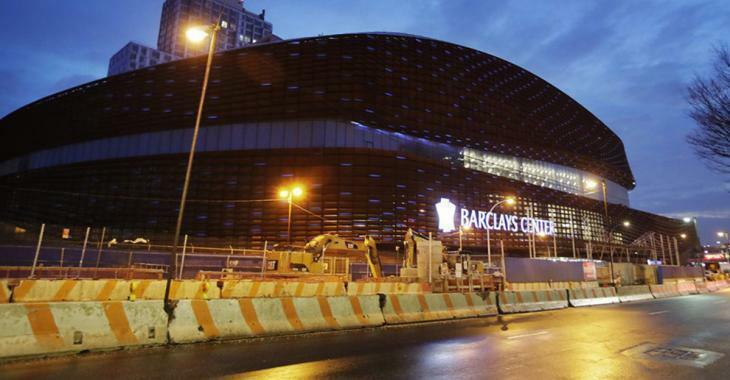 The Islanders weren’t alone in their arena proposal, however. New York FC, a charter member of the MLS, also presented their bid for a 26,000 seat soccer stadium for the location. Now that both Long Island pro sports teams have now officially submitted their proposals Empire State Development, fans will have to wait to see which organization gets to move forward with its plans.